Alysia Garmulewicz is an Associate Professor of High Tech Entrepreneurship at the Facultad de Administración y Economía, Universidad de Santiago de Chile. She is also an Associate Fellow at the Institute for Science, Innovation and Society (InSIS) and the CABDyN Complexity Centre, Saïd Business School, at the University of Oxford. Alysia researches digital fabrication and the circular economy, with a particular focus on open data and local material markets for 3D printing. Colin Webster works with the UK-based Ellen MacArthur Foundation as an Education Programme Manager. In this role, he introduces high school teachers and students to the circular economy, produces educational resources and works with universities through the Foundation's Schmidt-MacArthur Fellowship programme. Prior to working with the Foundation, Colin worked in secondary schools and in graphic design. He lives in Edinburgh, Scotland. Mike Werner is an Environmental Program Manager and Lead for Safer Chemistry at Google in their Consumer Hardware division. His mission is to eliminate toxic chemicals from consumer products and drive higher environmental performance and sustainability of product design. Mike holds a BS in Chemistry from Villanova University. He previously led safer chemistry and biocompatibility initiatives at Apple and was Sr. Sustainability Engineer with Haworth Inc. Mike has worked in the green building and product design space for 14 years including with renowned green architect Bill McDonough. He currently sits on the advisory board of the Green Science Policy Institute and has previously served as a sustainability advisor to the Department of Homeland Security and the National Institute of Building Sciences. 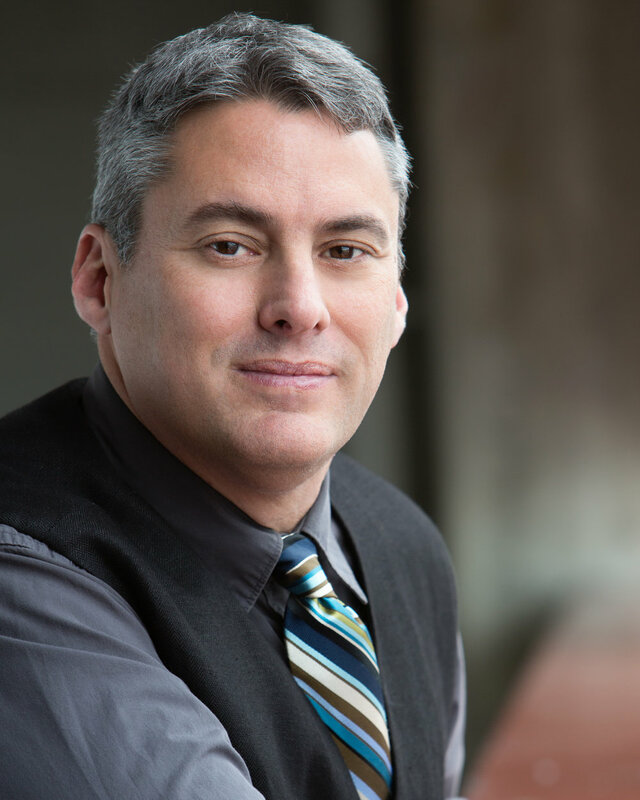 Nathan Shedroff is an Associate Professor at California College of the Arts in San Francisco, CA, where he founded the ground-breaking MBA in Design Strategy. This program prepares the next generation of innovation leaders for a world that is profitable, sustainable, ethical, and truly meaningful by uniting the perspectives of systems thinking, design thinking, sustainability, and generative leadership into a holistic strategic framework. He is a pioneer in Experience Design, Interaction Design and Information Design, is serial entrepreneur, and researches, speaks and teaches internationally about meaning, strategic innovation, and science fiction interfaces. His many books include: Experience Design 1.1, Making Meaning, Design is the Problem, Design Strategy in Action, and the new Make It So. He holds an MBA in Sustainable Management from Presidio Graduate School and a BS in Industrial Design from Art Center College of Design. He worked with Richard Saul Wurman at TheUnderstandingBusiness and, later, co-founded vivid studios, a decade-old pioneering company in interactive media and one of the first Web services firms on the planet. vivid’s hallmark was helping to establish and validate the field of information architecture, by training an entire generation of designers in the newly emerging Web industry. Nathan is on the board of directors for Teague and the AIGA. Christopher Carter is an educator, a seasoned animator/story board artist, and a nationally-known and highly regarded sculptor of reclaimed and re-purposed found materials. He holds an MFA (Fine Arts/Sculpture) from UC Berkeley and a BFA from Maryland Institute College of Art (MICA). In addition to being a working artist, Christopher was a Visiting Professor and Lecturer at UC Berkeley, and an Instructor at San Francisco's Art Institute of California. His art work has been shown in numerous solo museum, gallery, and Artfair exhibitions, and is held in private collections and museums. Most recently one major work was acquired by the new African American Museum of History Art and Culture-Smithsonian in Washington, DC. Christopher has an extensive background in animation. He was CEO/Creative Director of Maverix Studios (San Francisco, CA and Tokyo, Japan) from 2007 to 2012, and twice won a "Clio" (the advertising industry's highest award) for his animation work and art direction while at Colossal Pictures and Wild Brain, Inc. Maverix Studios' clients included HBO, National Geographic, Warner, Proctor and Gamble, Coke (Sprite) and Lucas Arts and Entertainment. Christopher is also a Trustee/Board Member of The Wege Foundation and resides in Miami, FL, where he is constructing a multi-use mixed media art studio and exhibition venue implementing used shipping containers for the primary art production space. Jennifer joined the Business and Institutional Furniture Manufacturers Association (BIFMA) in the fall of 2017 as Director of Outreach. She is a design-centric brand ambassador, who educates the marketplace on BIFMA’s impact upon the commercial built environment. As the trade association representing business and institutional furniture manufacturers, BIFMA’s work includes marketing analysis and development of product performance and safety standards. Jennifer is among the organization’s champions for LEVEL, the robust sustainability standard used across the contract furniture industry. Jennifer received her Bachelor of Fine Arts in Textile Design from the Rhode Island School of Design and had a successful career designing textiles for commercial furnishings. She held design leadership roles at several textile manufacturers before shifting her career in 2009 to join IDa Design, an independent furniture design consultancy. Jennifer’s role included design, strategy, research, marketing, and sustainable practices. She edited the firm’s publications, including Lumen, a quarterly trend report, as well as a trend column for Bellow Press Workplaces Magazine. Jennifer also lectured nationally on the importance of trend tracking for commercial design professionals. Jennifer became passionate about sustainability as Director of Design for Guilford of Maine when she had the great fortune to work under Ray Anderson’s mentorship at Interface. This ultimately led her to receive a Masters of Management in Sustainable Business from Aquinas College in 2010. Jennifer enjoys her involvement in the community, including serving on the board of directors with New City Neighbors, a faith-based non-profit in northeast Grand Rapids, MI whose mission is to empower youth to reach their full potential. Jennifer is active with the West Michigan Sustainable Business Forum, having served on the board for a number of years including as board president for the 2013- 2014 term. She is a guest instructor in sustainable business at Kendall College of Art and Design/Ferris State University, and has lectured at Aquinas College and Grand Valley State University. For more than 35 years, Tom Newhouse has been designing furniture, lighting, appliances, and other products as the owner/principal of an industrial design consulting firm located in western Michigan. Prior to 1978, he was a member of the corporate design staff of Herman Miller, Inc. He holds a degree in industrial design from the University of Michigan. Tom works primarily in the areas of home and office furniture, lighting, kitchen cabinetry, and major appliance design, with an emphasis on environmentally sustainable design practice. He currently holds over 90 design and utility patents. Tom lectures to professional design societies and universities internationally on the topic of environmentally sustainable design and his “Four Corners” design philosophy. Tom was inducted into the WMSBF Business Hall of Fame in November 2015. This lifetime achievement award honors individual practitioners that have made the greatest contribution to sustainable business in West Michigan during their careers. David A. Rinard retired in 2016 as director of Global Environmental Performance for Steelcase Inc., the global leader in the office furniture industry. He currently serves in a project manager role in a phased retirement plan. During his 38-year career at Steelcase Dave, served in a variety of roles leading the department that was responsible for overseeing the company’s environmental initiatives and performance and implementing corporate environmental strategy, including regulatory compliance, environmental management systems, sustainability programs, environmental outreach and responsible conduct programs. Dave is also on the board of directors for the West Michigan Sustainable Business Forum; is a member of the external advisory board of the University of Michigan's Center for Sustainable Systems; sits on the U.S. Green Building Council; is a past chair of the West Michigan USGBC Chapter; and is a board member of the Land Conservancy of West Michigan. He also participated in the BIFMA (Business and Institutional Furniture Manufacturers Association) Government Affairs Committee, Vice Chair of the BIFMA Sustainability Committee and participates in several technical working groups. Bill Stough has proven business skills in the design and implementation of sustainable development business strategies, creation of regional sustainable business networks, and creating baseline performance profiles for an organization’s ecological footprint and environmental and regulatory compliance. He has over 35 years of experience solving environmental problems, implementing sustainable business programs and directing operational and marketing plans. He was the project manager working for the Business and Institutional Furniture Manufacturers Association and NSF International to develop the ANSI/BIFMA Office Furniture Sustainability Standard. Mr. Stough is a widely recognized leader in developing environmental management systems and implementing sustainable business networks throughout the United States and is a 2014 inaugural inductee into the West Michigan Sustainable Business Hall of Fame.